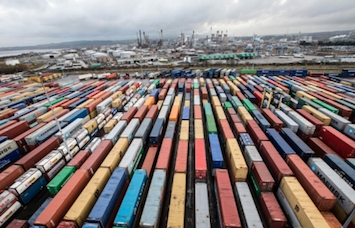 The value of Scotland’s goods exports to the European Union rose 18% to £15.7 billion in the year to September 2018, new HMRC trade statistics show, the UK’s Press Association reported. The report said the exports to the EU made up more than half of Scotland’s overall goods exports, which rose 6% to £29.6 billion. Meanwhile, goods exports to non-EU countries fell 4.5% to £13.9 billion and goods imports from these countries rose 13.1% to £15.8 billion. Trade Minister Ivan McKee said the new figures show the importance to Scotland of trade with the EU. McKee said: “The value of Scotland’s annual goods exports increased by 6% to £29.6 billion. “This is a higher growth rate than the overall UK figure of 4% and the highest percentage increase of any UK country.